A recent survey of 140 sales teams found that 96 percent of salespeople use Linkedin at least once a week to find prospects, gather data and even initiate the sales process. Another study by Harvard Business Review found that the top salespeople use LinkedIn to sell more. But is it always a smooth ride? And overall, 19 percent of their day goes into searching for and gathering information. But what if there was a way to automate, or at least speed up a lot of activities you do on Linkedin? Language matters. How you communicate with someone, the words you use, how you structure your requests etc. affects their initial perception of you. And that’s what Crystal helps with. The standalone app as well as its Chrome extension allows you to profile Linkedin users profiles to detect their personality. And suggest the best ways to communicate with them. Crystal can tell you what to write in an email or how to create a message that engages them in a way they’d expect from you. Is there anything else you’d want more than a long list of targeted leads….fast? That’s exactly what SalesLoft’s Prospector aims to help you build. 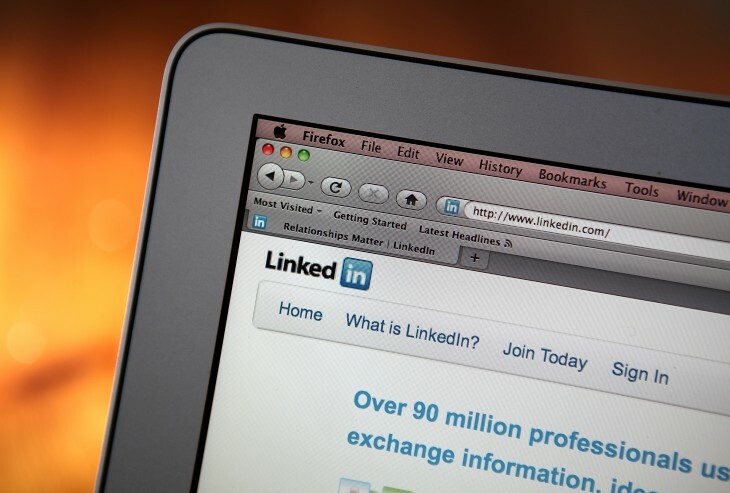 Prospector’s Chrome Extension allows you to build prospecting lists quickly from LinkedIn. It automatically pulls out each lead’s details and gives you their related contact information like email and phone number. If SalesLoft’s Prospector is the premium product with premium pricing, LeadFuze is a good alternative at an affordable price. LeadFuze helps you build a list of targeted leads from a LinkedIn search and automatically finds the emails, phone number and social media profiles of your prospect. Are you selling technology products? Then I bet you’d love to know when companies using your competitors products drop their services? Or their contracts are up for renewal? Believe it or not but that’s one of the things Datanyze Insider helps you to track. With Datanyze you can identify websites that started or stopped using a competing technology provider. Or find out which companies have a contract up for renewal with a technology provider you compete with. You can even identify every website using a specific technology provider. Filter results by revenue. Size. Alexa traffic range and much more. And what about Linkedin you ask? The tool allows you to uncover LinkedIn contact information and import them into Salesforce in one click. With LinkedIn’s powerful InMail functionality you can reach out almost to anyone on Linkedin. But unless they reply, you can’t tell if they’ve even seen your message. Attach let’s you link to any document and track your contact’s engagement with it. You can see when they open it, what pages they read and for how long. This insight helps you plan your follow up approach and timing. QuotaDeck is a crowdsourced introductions platform. When you Sync your LinkedIn and email contacts, QuotaDeck helps you get more warm intros. You can request introductions to dream clients and if someone on the platform knows the person you want to talk to, they can help you two get acquainted. Simple, huh? This is another Linkedin prospecting tool allowing to download lists of leads directly from Linkedin to Excel. With Salestools.io you can also monitor newsfeed for specific keywords to know when someone in your network might need help from you, and autoconnect to prospects. It works on a very simple premise that people visit the Linkedin profiles of those who have visited them first. By visiting someone’s profile, they can become aware of you, check out your website, and start using your service. So this system automatically visits up to 800 targeted profiles a day on your behalf. In turn, you can expect 8 – 9 percent of these people to visit your profile back and get acquainted with you. The app analyses and stores publicly available addresses on the Web. So when you visit a website, it will display all available email addresses for that domain. When it comes to Linkedin, the Chrome Extension gives you a button to quickly match the profile’s first name, last name and the company name with emails in their database for match. Ever wondered if you’ve got something in common with a prospect? Like a mutual Facebook connection, perhaps? Well, guess what, that’s what this app could help you establish. Each time you visit someone’s Linkedin profile, Discover.ly can tell you if you have any mutual Facebook friends. Plus it reveals the person’s recent tweets to help you build their profile. Weave is a mobile app that helps you expand your professional network. Its developer describes it as LinkedIn meets Tinder (minus the dating, of course!). Connect it to your Linkedin profile and reach with like-minded individuals from your area, industry etc. Sometimes the best connection you’re looking for is someone in your company. And Linkedin Lookup could help you find out who they are. With Linkedin Lookup you can search coworkers by name, experience, job function, title, or expertise. Conspire uses data from your communication platforms, like email, and merges it with big data analytics to find the most reliable chain of connections between you and the person you want to meet. But it doesn’t just match people you know but also, how well you know them (using various metrics like frequency of contacts) to deliver the most reliable introductions to your desired leads. But what’s its connection with Linkedin? Conspire’s LinkedIn plugin shows you the strength of each relationship, so you can truly see your best connections to everyone, right in LinkedIn. Guru helps you work faster and smarter whether prospecting on LinkedIn, or working in Salesforce. This helps you have a relevant and personalized outreach, and shortens the time it takes by eliminating the need to have to go searching around for relevant materials. This is a neat little Chrome extension that brings Linkedin profiles right into your Gmail. Imagine that you receive an email from a potential lead. Once you open it, Rapportive will pull that person’s information and display in a sidebar of your screen. You’ll be able to see the person’s Linkedin profile image, job title, previous positions and your connection with them, all without even having to leave your inbox. Brisk is a powerful must have tool if you’re using Salesforce and hate data entry (and who doesn’t?). It allows you to quickly find and add data to Salesforce no matter where you are on the Web through their handy Chrome Extension. When you visit a prospect’s LinkedIn profile, one click on Brisk automatically detects their contact information, and tells you if they’re already in your CRM or not. With one more click you can add them to Salesforce as a lead or contact. This is another tool that allows to integrate Linkedin with Salesforce. Ebsta gives you the ability to view, cross-reference and edit existing Salesforce records based on the Linkedin profile you’re actually viewing. But it goes way beyond that. You can log calls, add activities, opportunities and new records without leaving Linkedin. Hopefully these tools and Chrome extensions will help you build better prospecting lists, speed up your sales process and close more deals. Are there any other Linkedin tools you’d add to the list? Share them with us in the comments. Read next: Win an incredible round-the-world trip worth $4,000 and meet Tim Ferriss!